Durban Poison is an extra-frosty sativa clone that reportedly originates in the South African city of Durban. 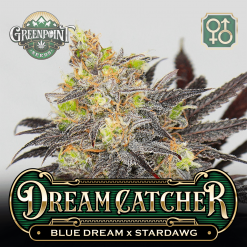 Her resin production, high THC-V content, anise/black licorice aroma, and uniquely functional effects make her one of the most popular landrace varieties in existence. She is surprisingly dense for a landrace sativa, and it is rumored that Durban Poison is not pure, but is a hybridized African sativa. Full Moon Fever will keep the heat turned up all night long! Durban Poison is an extra-frosty sativa clone that reportedly originates in the South African city of Durban. Her resin production, high THC-V content, anise/black licorice aroma, and uniquely functional effects make her one of the most popular landrace varieties in existence. She is surprisingly dense for a landrace sativa, and it’s rumored that Durban Poison is not pure, but rather a hybridized African sativa. 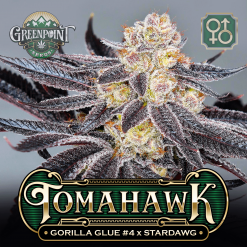 Whatever her true origins, it is universally recognized that she is unusually functional, clear-headed, and even energetic–this is likely due to her high production of THCV, a cannabinoid that actually suppresses hunger and gives a feeling of intense euphoria. As unique as her effect, the flavors of black licorice and anise are striking in Durban Poison, and as a result, she has proliferated in grow rooms all around the US. Famed for its robust structure the Stardawg will boost the yields of Durban Poison and heap some janitorial chemical aromas on top of the anise and licorice scents. 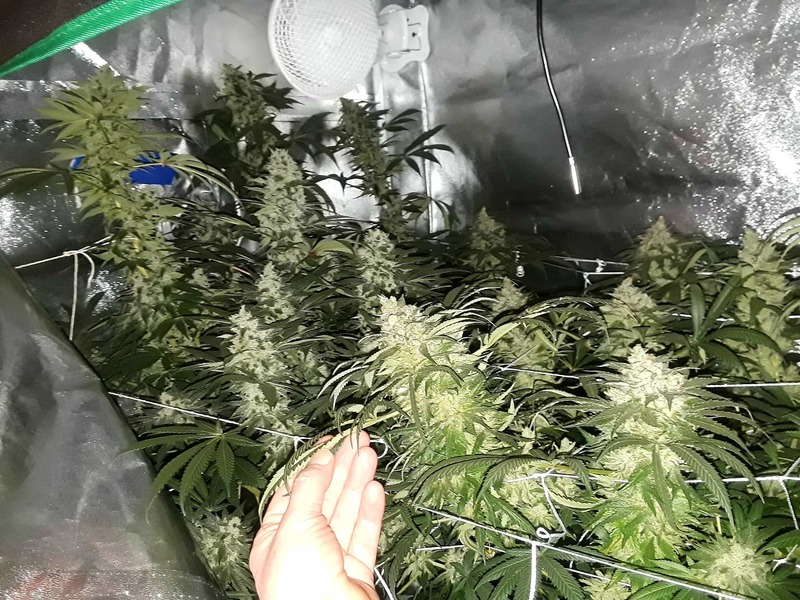 Evident from the pictures, Stardawg adds some excitement by purpling the flowers and leaves! You won’t see color like that on pure Durban. The sometimes racy and paranoid effects of the Durban will be relaxed a bit from the Stardawg cannabinoids, making her more calm overall. 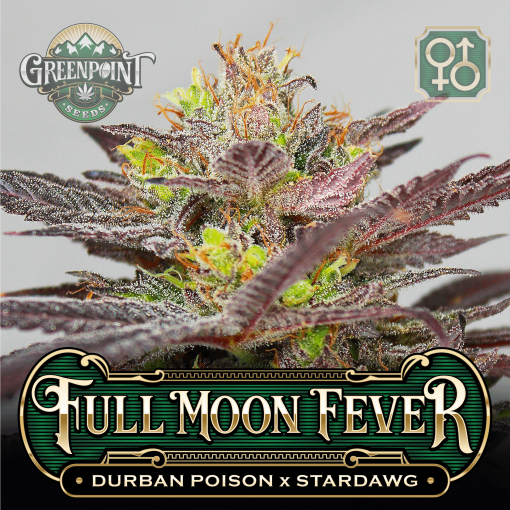 Full Moon Fever is a much less intimidating smoke for those sensitive to potent sativas. The presence of unadulterated African genetics makes this likely one of Greenpoint’s most unique offerings. Things always get weird in the best kind of way on a full moon… Looking for another late night sativa? 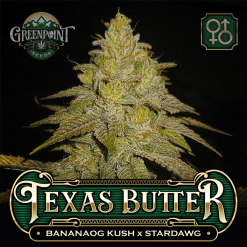 Check out Golden Stardawg, a favorite of the ladies. 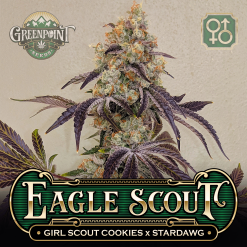 Another great strain by GPS! 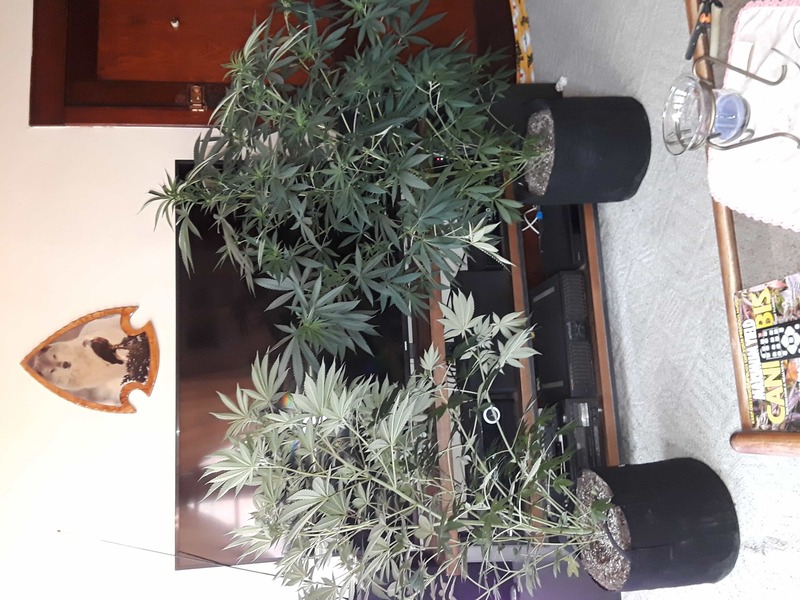 Planted 5 seeds and got 4 females, 2 were more Stardawg leaning and smelled like lemon pinesol, the other two were more Durban Poison leaning smelling sweeter and more fruity. The high was very racy but clear headed, a great day time smoke as long as you don’t indulge too much! 25 out of 27 people found this helpful. Was this review helpful to you? Anything with Durban Poison is going to be a winner in my book. These will not disappoint. I think I would like to get another pack of these gems. My brother in law grew this strain indoors and share it with me. I have never smoked a smoother strain. He warned me it can be very “ put you on the couch” strong so I didnt smoke very much and did not feel it too much, considered adding more to the bowl and remembering what he said, held off, sure enough it kicked in probably 10 minutes later and was very pleasant mild high that I loved. 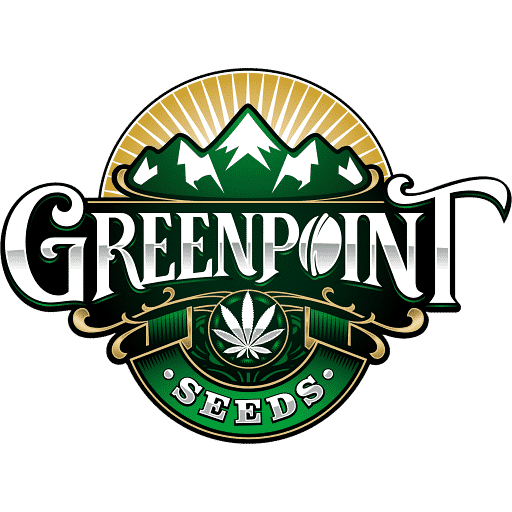 It is now my favorite strain so I am buying seeds for next year since they are being discontinued. BTW he claims the mildness is a result of the curing process so not to skip. Highly recommend. Completed 63 days of veg. Its day 9 of flower and gonna lollipop both. I’m also going to pinch ,bend,and scrog em out see what kind of yield I can get. I use a pair of cronus X2’S with wifi and nectar for the gods nutrients. This is my second round with GPS… got monster results from jelly pie and cackleberry.